In our business we come across a wide spectrum of Appliances & Whiteware. Some of these Brands are not fully supported or can be uneconomical to overhaul. Our expertise crosses over into many brands & therefore we are able to offer trade in's on many different appliances. These appliances we check over & test, apply what minor repairs are necessary, then once electrically safe & passed further testing, we fit with an 'Electrical Safety Certificate'. We may sell them in-store or online with a limited warranty at a Bargain price for customers wanting to have a more economical option! 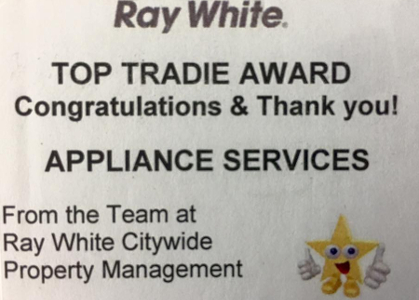 Call to let us know what type of Appliance Whiteware you have available. We'll send an Authorised buyer to your home or business & assess your Whiteware for a trade in, to buy, or take away... it's that simple! 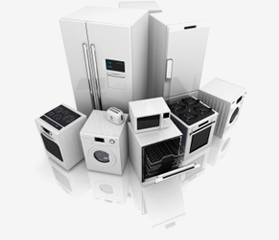 We aim to offer fair prices to our clients & assessment may be required to be carried out in our workshop, especially when an appliance is faulty. This we will advise on inspection.